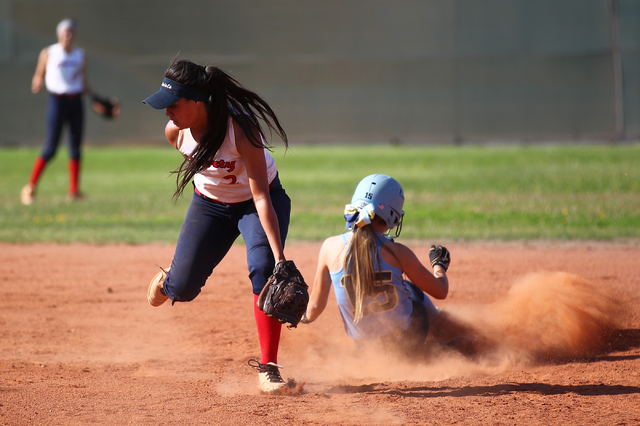 Four batters into Wednesday’s game at Liberty, Foothill softball coach Tom Mayes already had an inkling that it might be a good day for his Falcons. His leadoff batter had already pieced together an eight-pitch at-bat that ended in a solid single up the middle. A bunt single and two opposite-field hits had given the Falcons a quick lead. And it was just the start. 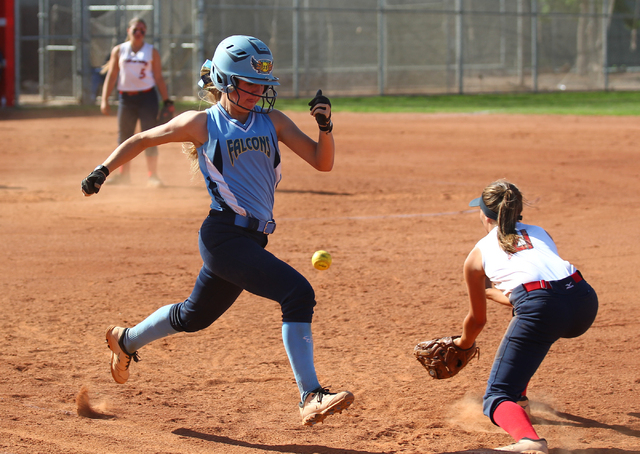 Every Foothill starter had a hit and scored a run as the Falcons blitzed the Patriots 15-2 in a five-inning battle of teams that entered tied for first place in the Southeast League. Hannah Stevens’ at-bat leading off the game set the tone. 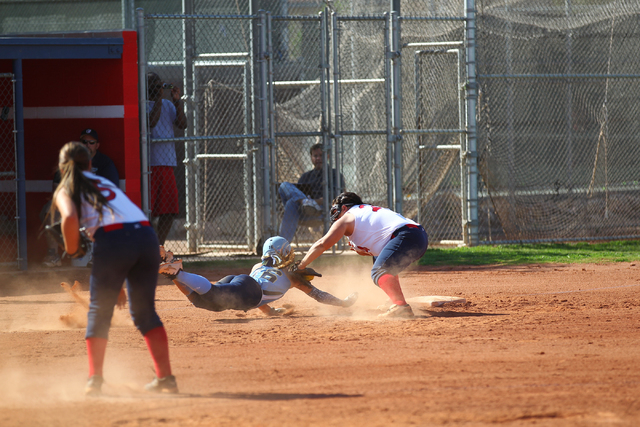 She fell behind 1-and-2, worked the count full and fouled off two pitches before stroking a single to center. 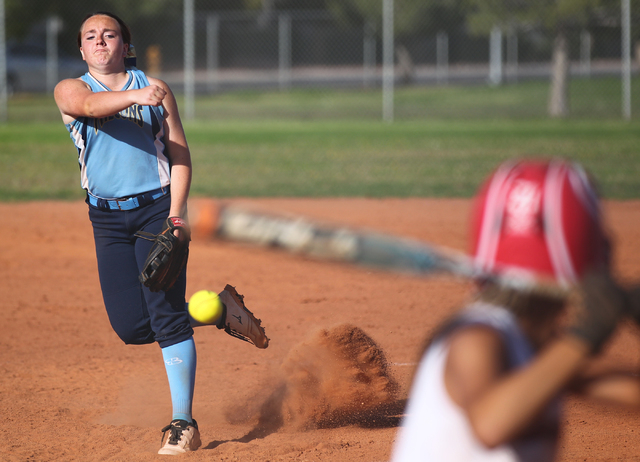 Stevens came up again in the first inning and singled up the middle again, driving home Alexia Campbell with Foothill’s seventh run. Stevens also had two hits in the third inning and finished the game 5-for-5 with a double and two RBIs for Foothill (11-13, 5-1). She wasn’t the only weapon. 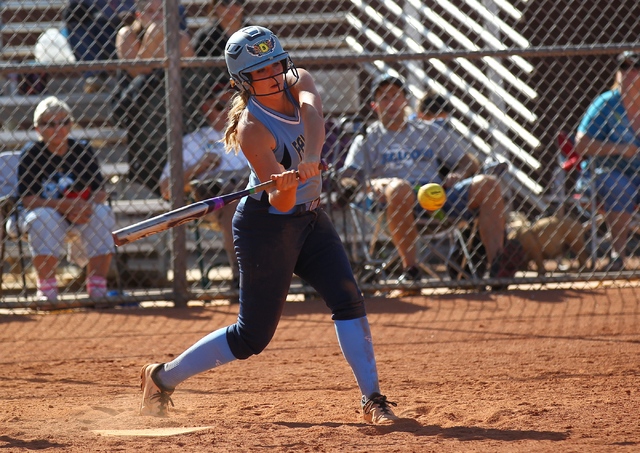 Cleanup hitter Jordan Corn went 4-for-4 with a triple and three RBIs, and Sarah Maddox, Daryan Meade and Campbell — the Nos. 7, 8 and 9 hitters — each went 2-for-4. In all, the Falcons collected 19 hits and four walks. 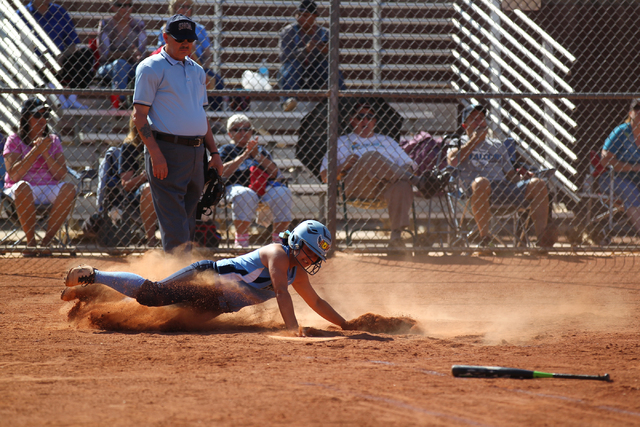 Foothill was coming off an 11-5 win over Coronado on Monday and remains tied with the Cougars for first place in the Southeast with four league games remaining. 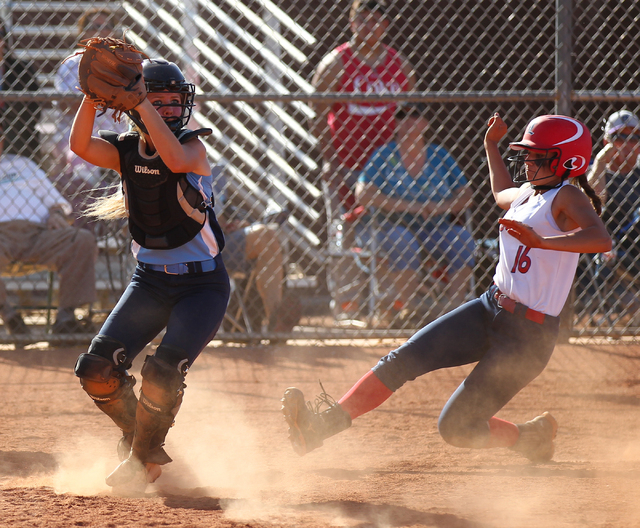 Felicia Rivera was 1-for-1 with an RBI for Liberty (11-6-2, 4-2). Contact reporter Bartt Davis at bdavis@reviewjournal.com or 702-387-5230.